Developer: AB Mobile Apps LLC. Download the Trucker App & GPS for Truckers free today! Trucker App & GPS for Truckers is the number one app for Truckers, turn by turn directions that allows you to add multiple locations and avoid locations. The Trucker GPS gives you all the benefits of directions with the capability to add any stops you want, up to a total of 7 stops! View Weight Stations, Travel Centers, Rest Areas, and Much More! With options to have direct navigation, or route planner no matter where you are going the Trucker App & GPS for Truckers will get you there. Trucker App & GPS for Truckers Features: - MPG price calculator - Share your location with friends - Rerouting to avoid areas you do not want to stop at - Direct Navigation - Auto-finish option when typing ending destination - Turn by Turn Voice Guided Navigation - Listed Directions and Interactive Map - Satellite or Map views - Add Terrain with Map view - Add Labels with Satellite view - Route Planner to let you add stops along your trip - Weigh Station Locations - Travel Centers - Business Locations - Add up to 7 total stops to the route planner - Add stops options let you calculate your trip with out the stops and then with the stops - Get route takes you to a map that can easily change to a listed direction and back to the map - Add places to your map including: Travel Centers, Rest Areas, and Weigh Stations - Full Access of Route Planner only 8.99 a month! 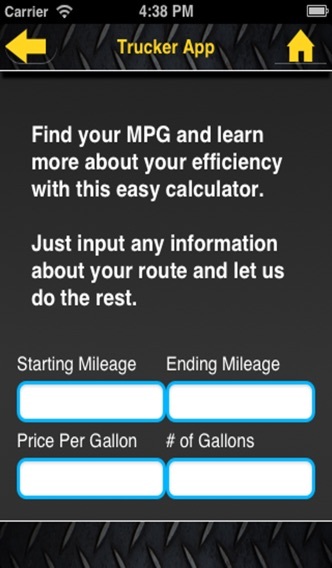 - Mileage Calculator - Feedback - Help button The Trucker App & GPS for Truckers comes with a Mileage Calculator to tell you your MPG, Total Cost for Gas, Price Per Mile for Gas, and total Miles Traveled. Made specifically for truckers, the Trucker App & GPS for Truckers will let you see Travel Centers, Rest Areas, Weigh Stations with just a push of a button, pick one, pick two or pick all three. 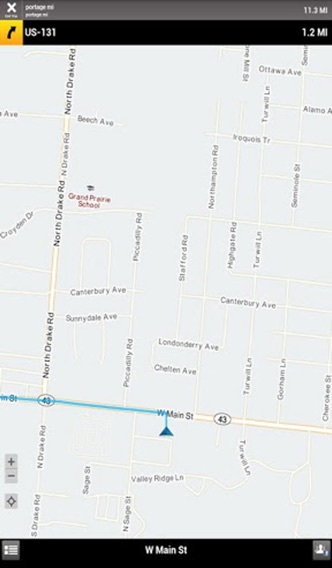 The Trucker App & GPS is designed to let all three show on the map at the same time. No Matter where you want to go the Trucker App & GPS for Truckers is what you need to get you there! Free to Download and only 8.99 a month for the hands on directions you have been waiting for. The Trucker App & GPS is made to make your life easier, with not only directions but mileage information! Not sure if this is the App you want, you will love it and if you don’t you have nothing to lose! GEOLocation makes it so you can start from anywhere even if you don’t know where you are! Get started with our Trucker GPS system and you'll love how easy it works as you keep your friends up to date on your location. Try Trucker App & GPS for Tuckers today, to make your life easier! Continually updated mapping systems are the key to getting you where you need to be and the Trucker App & GPS has it and more! Disclaimer: We do our best to make sure all of the information is up to date. However due to the massive size and amount of information, It is the responsibility of the user to make sure they are using the application in a responsible way. We will do our best to continue to update and our users may help or assist us by letting us know these issues when arise. We look forward to hearing you, until then enjoy the the mapping application and your trip. If you have any questions or need anything please contact us right away, you can visit our website at http://www.abmobileapps.com. 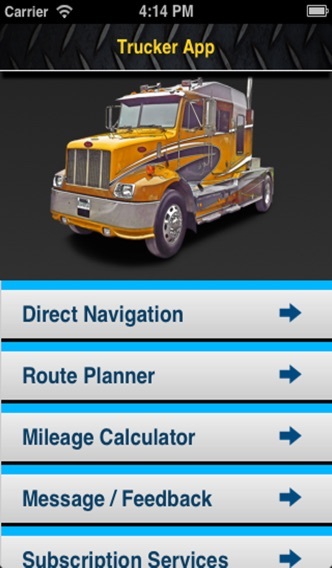 Trucker app is designed to provide the best mapping and guidance features for truckers. This includes showing the locations of scales, weigh stations, travel centers and more. With the integrated GPS system feel free to share your location with friends. Get started today and Download trucker app for truckers now! Our Trucker GPS system is a must have for every trucker driver. GPS doesn't load point of origin or destination. Checked everything on my phone and reinstalled app but nothing. NOW I CANT DELETE THIS CRAP and website doesn't work!! STAY AWAY!! NO STAR RATING! It's a scam. You push any button it tells you that you have to subscribe, and it freezes. I typed a Boston address into gps and it wants to take Storrow Drive. Storrow Drive is a non-truck route. Not a good app for truckers. 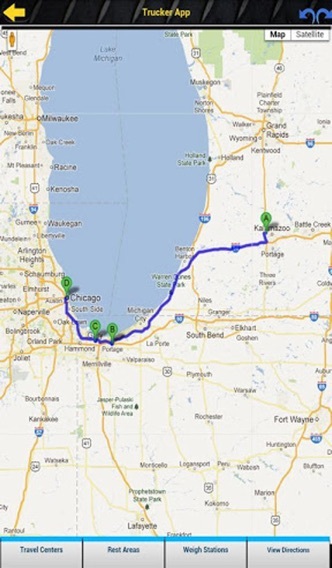 As a professional truck driver I am always looking for ways to make trip planning and backups to assist. Everything this program offers is useless for CDL owners. Calculator can figure your gas mileage, trip planner is nothing for trucks actually because you can not put in specifics to help route for your individual truck, it does not route you according to your plan even. All in all a good toy for wanna bee truckers to impress drinking buddies but a waste of time to download or even attempt to use. More by AB Mobile Apps LLC. Quit Smoking: Learn To Stop Smoking Today!